This website, www.thetouringnetwork.com, is operated and controlled from the United Kingdom and these terms and conditions and your use of this website are governed by, and construed in accordance with, the laws of Scotland. If you need any information about this site or our organisation, please use the contact details above. The contents of this website are the copyright of The Touring Network or by agreement from a copyright owning partner, including any comments, reviews, photos, data or any other material that users may contribute. You may not modify, publish, transmit, participate in the transfer or sale of, create derivative works, or in any way exploit the contents of this website without written agreement of The Touring Network. All material supplied for inclusion to this site by a third party, such as promoter or performer, is supplied under the terms of this site. Copyright of material supplied should be sought prior to submission. Email addresses and contact details are published for the purposes of contacting a venue or event. In order to ensure the accuracy and completeness of our listing data, we may periodically contact you to ensure details are correct. Should you wish to update your contact details or remove these from the site, please contact us at office@nullstaging.thetouringnetwork.com. Our listings information is provided in good faith and is submitted by users and our many promoters across the Highlands and Islands. Whilst we make every effort to ensure that information provided on this site is current, complete and accurate at the time of publication, we recommend that users check with the venue or promoter of the event regarding specific times, dates and pricing information. Use of the website is made at your own risk. 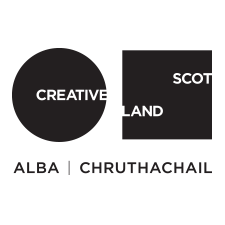 The Touring Network (Highlands & Islands) is a constituted charitable organisation that works to connect, support and represent those who deliver cultural events of the highest quality in rural and island communities across Scotland and to make this activity visible to the widest possible audience. Our listings site is intended to provide useful information about accessing professional, live performances across the region. Only those events that are classed as ‘professional live performance’ are eligible for inclusion on this site, theatre, dance, music, circus, comedy and spoken word. Due to the remit of our work we do not currently include listings for events other than those covered by the term professional, live performance. This includes visual arts, creative writing, design, crafts, film. Events falling under these categories may be eligible for inclusion if they include elements of live performance for example a performative literature event or a piece of live performance art – in these circumstances inclusion will be at the discretion of The Touring Network. Membership – where members aims and objectives are clearly aligned to those of the Touring Network. Festivals– where members aims and objectives are clearly aligned to those of the Touring Network. Exceptions and inclusions are at the discretion of The Touring Network. The Touring Network takes reasonable precautions to ensure that this website is not affected by any harmful software or malicious programmes, however, we are not able to accept liability for any such occurrences. Any payment gateways or secure services that are linked to from this site are subject to their own terms and conditions of usage. The Touring Network provides this services as a useful source of information to users and provides links and information where we deem it may be helpful. We cannot accept liability or responsibility for any content to be found in any third-party sites that are linked from this website. Such sites are subject to their own terms and conditions policies. In order to improve our services, The Touring Network keeps track the number of visitors to our website, the pages they visit and how long they stay. We also collect information from visitors, by means of Google Analytics, so that we are able to provide a more appropriate service to users in the future.